This is, maybe, the most complex thing that I have never programmed, isn't finished yet..
Is dirty, has bugs and lacks, but will be improved in a future. At the moment all BTool functions are commands but when finished you will be able to place nice bearings without typing a word of code at all. The proper bearing should be placed automatically. This only works for shafts and the deep groove single row ball bearing type at the moment. You can try to rotate and translate a cylinder and then repeat the above. The bearing will be placed on the desired position too! ...or should, if you try few positions, you will find that sometimes the bearing is not aligned with the shaft. I'm working to solve that, without success by now. The dim parameter equals to the magnitude you want to search. 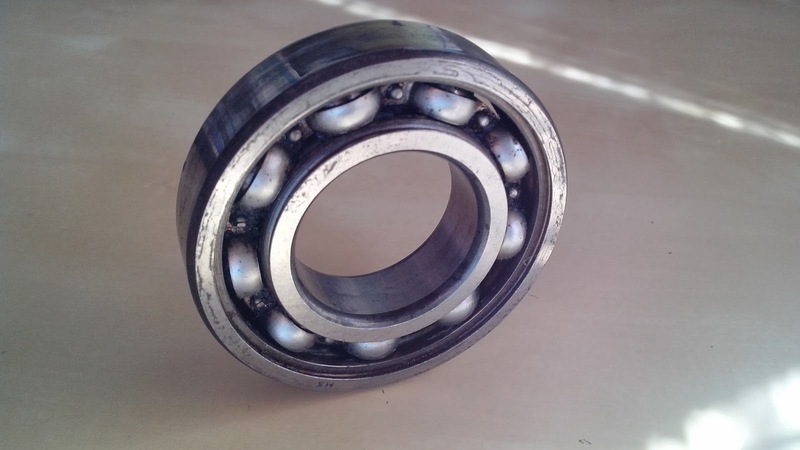 A bearing has 3 main dimensions, inner radius, outer radius and width. -If you select outer radius, the outer radius of the bearing will be smaller or equal to the input magnitude, assuming you want to put a bearing in a hole. -For the width there is no special function yet and will select the first bearing greater or equal. The btype parameter means bearing type, at the moment 0 for the Deep Groove Single Row Ball Bearing and 1 for Deep Groove Double Row Ball Bearing. I've developed this tool with the end user in mind. To add more dimensions of a existing type of bearing, just copy paste the inner diameter, outer diameter, width and description to their respective fields. That should be all. Of course, the search method has to be improved and by the moment there is no way to add new types of bearings easily, this will be solved in a future. And his is the current state of the project. The dialog box is almost working, and will be out once I solve the placement problems. Many thanks for the code! I tried to implement something like that, but never worked. I'm testing your proposal, and if it works I will upload a new version of the whole thing. Thank you for this wonderful and precise information. I tried doing the code quite a few times but stuck due to lack of guidance. In gone through your entire Article and I liked the coding section a lot. These kinds of article are the true guide for the learners also for those who want some help while coding. I can say Bearing Boys is a renowned brand that contributing a lot in this sector.